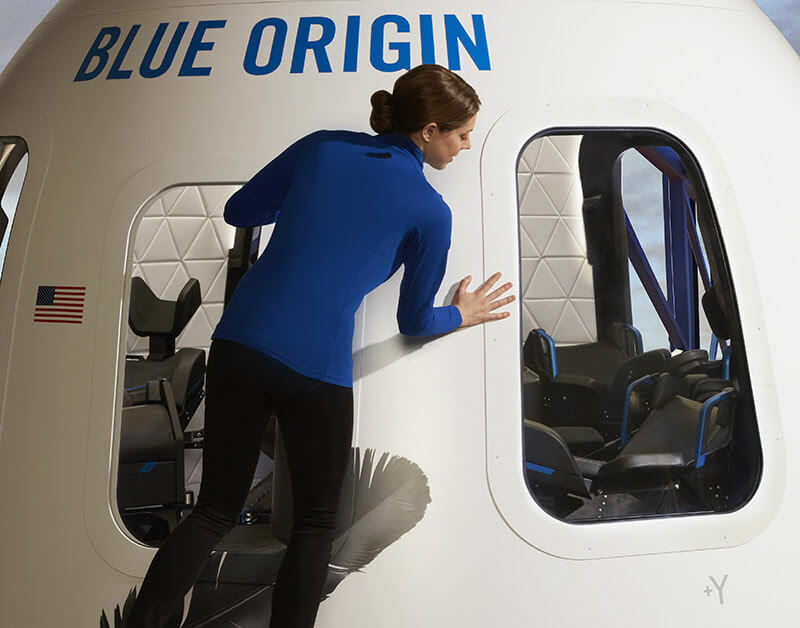 If you’re rich enough to afford a trip with Jeff Bezos’ Blue Origin spaceflight company, you should bear in mind that there are some dangers involving bodily functions while in the capsule: peeing, puking, and pooping. "The whole thing, from boarding until you're back on the ground, is probably 40 or 41 minutes. So you're going to be fine. You could dehydrate ever so slightly if you have a weak bladder." Although the flight itself will only last around 11 minutes, there’s always the possibility some people could find the stress triggers an accidental bodily response. Mark Shelhamer, former chief scientist at NASA's human research program, told Gizmodo that anyone concerned about soiling themselves might want to copy what the Apollo astronauts did on the moon: wear diapers. “You can't be squeamish about body functions if you want to go to space," Shelhamer said. It seems Shelhamer disagrees with the Amazon CEO on this one. There have been cases of highly experienced pilots vomiting due to extreme motion sickness. Even if the New Shepard vehicle had a bathroom, the size of the capsule would mean it’d be minuscule and not offer much in the way of privacy. Maybe Bezos will change his mind and hand out free puke bags and incontinence pants with every $100,000 to $200,000 flight.